Chaos has worked in collaboration with Aviva since 2004 in a variety of different ways. Primarily in the CSR and internal comms space, but Chaos are delighted to have also delivered corporate and marketing communications to the insurance giants. The overall participation in the Aviva Employee Promise Survey was up to 76% with 8 business units turning in an astonishing 100% response. 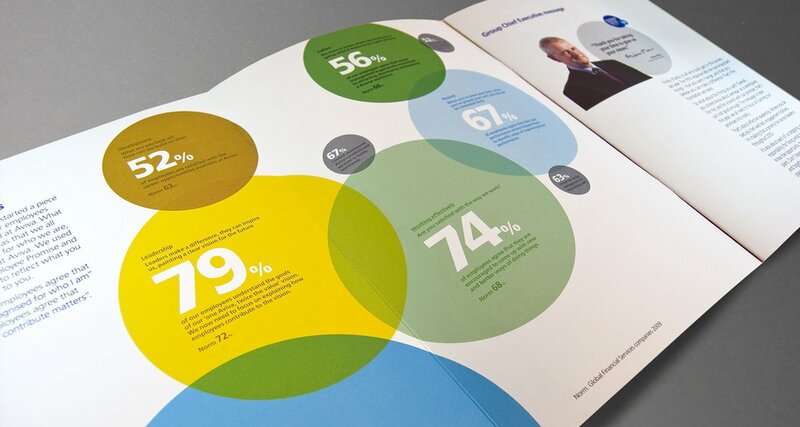 When Aviva launched its internal communications campaign, Employee Promise (to complement the customer-facing campaign, ‘No-one recognises you like Aviva’), we devised a suite of original and engaging solutions that delivered a strong message. We also commissioned and managed the multi-lingual translation of all materials to ensure that messaging and feedback was conveyed clearly to the widest possible internal audience. The Aviva Street to School charity had been a huge success, reaching 640,000 children, way ahead of the 500,000 target. 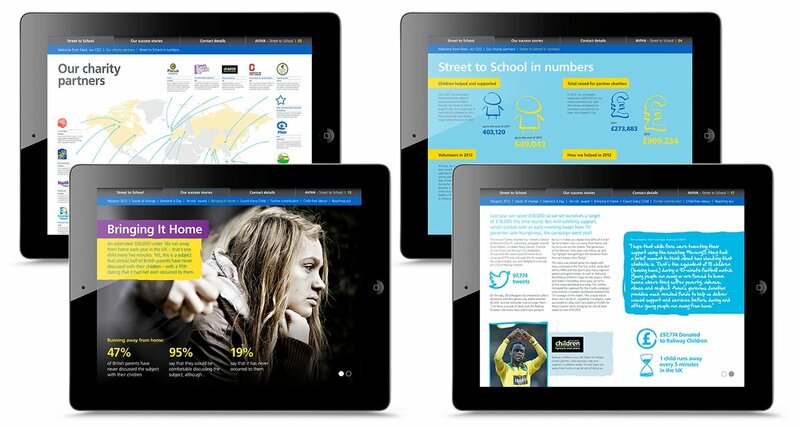 We helped Aviva tell success stories behind Street to School, creating a new onscreen format for its magazine, using pdf technology to enable employees to read how their efforts have helped street-connected children. We also produced multi-language leaflets and eDMs to drive readers to the magazine and get the Street to School story to a wider audience.